We had a blast at Rina’s Monroe Graduation Party. 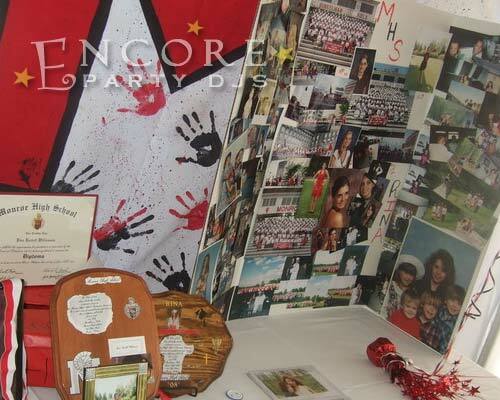 She went to Monroe High School and had a bunch of her sport memorabilia setup on display. Michigan Friends and family were able to checkout all the achievements of Rina throughout the years. It is a more informal event (most grad parties are) done outside. The weather was awesome, so guests took full advantage of the mechanical bull and bounce house. People loved these options. I mean how often do you get the chance to ride a mechanical bull? I have to say our photo booth there would have been a huge hit! The first couple of hours are usually the times when people will catch up and talk to each other. This is the casual portion of the evening. Once again we will play something lite in the background that doesn’t over power the conversation. People will come and go constantly at this point. However, a lot of friends that come will tend to stay longer. The only issue with graduation parties, is that there might be 4 or 5 of them going on in the same weekend. So if you have multiple parties to go to, you would have to cut some of them short. Since there were so many great activities happening at the party, most of the people stayed as they showed up. The meal was over with and it was time to start the disc jockey part of the night. Once it got dark, we started to blend in songs from Rina’s song request list. It was a nice mix of classic oldies and newer top 40. We even took guests requests too! I remember we received at least three dozen song requests throughout the night. Great times with good people. Look forward to doing your families upcoming wedding music! It is always a rewarding feeling to work events with clients like this. It’s almost like you become part of the family by the end of the night. We are glad to be a part of your celebration and help you with the graduation memories. Is your event coming up soon, and you need a company that can bundle you a package? 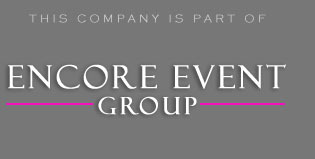 Encore can help you with the music entertainment, photo machines and uplights. Go ahead and click on the image below to find out how we can save you time and money on the DJ cost. Let our team help you plan your event from start to finish.